The Monte Jade Science and Technology Association of Greater Washington is a leading organization providing our community with resources for starting, funding and growing high technology business. Our community includes current and future entrepreneurs students, researchers, scientists, scholars and business people. Key members include C-level executives, managers, and directors leading, operating, and developing some of the most successful science and technology firms in the Greater Washington area.In furtherance of our community's goals, we deliver seminars, networking events, and conferences leveraging our collective experience, knowledge, and network. Our vision is to cultivate the Asian community to improve business partnerships and professional development. Our commitment is to assist future entrepreneurs, students, researchers, scientists, scholars and business people to advance their careers to become leaders and executives in their organizations or assist those that have interest in becoming entrepreneurs and business owners. We accomplish this through the experience and knowledge our prestigious board and other key members that include C-level executives, managers, and directors. These members lead, operate, and develop some of the most successful science and technology firms in the Greater Washington area. We deliver this experience and knowledge through our Monte Jade seminars, networking events, and conferences. Mr. Hsiao is a well-recognized entrepreneur in the mobile telecommunications industry. Since 2000, he has founded three start-ups including InphoMatch, which was acquired by Sybase (Now SAP) for $425M in 2006. Currently, he serves as CEO of Hooks Mobile, bringing his extensive expertise in the wireless industry to the company. 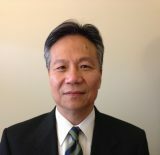 Mr. Hsiao has been appointed by the Governor in Virginia, Bob McDonnell, to serve on the Board of Innovation and Entrepreneurship Investment Authority in Virginia. 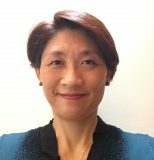 Hsiao also serves on the Board of Governors at MIT Sloan School of Management, Monte Jade DC Chapter, Confucius Institute at George Mason University (GMU), and Advisory Board at Rutgers University College of Engineering. Hsiao has a Honors BSEE from Rutgers University and SM (MBA) from MIT Sloan School of Management. 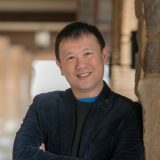 Hans Fan is the Senior Vice President in business analytics and executive committee member of several highly profitable database marketing companies. His specific expertise includes financial modeling, recurring credit card processing and payment enhancement, spreadsheet and predictive modeling, business case analysis, multi-channel membership marketing and E-Commerce. He has an MBA degree with the concentration in finance/MIS from Purdue Krannert School of Management. In addition, Hans has been a newspaper columnist since 1995. After winning the second place of China Times Literacy award in Journalistic writing, he began his regular column writing for China Times. Currently he has weekly column at United Daily News, Apple Daily, Common Wealth Magazine and Global Views Forum. In 2017, Hans’ radio program was the winner of Golden Bell Award, the most prestige TV/Radio award in Taiwan. The show is in the air every Thursday evening on FM 91.3 in Taiwan. Hans’ first book “What I think about when I think about Sports” was published by the Farstream Press in 2015. Hans is working on his second book with Wei-Yin Chen, the MLB pitcher from Taiwan. Karen H. Wang a Director in the Dispute Advisory & Forensic Services Group. She has over 20 years experience providing a variety of consulting services, including litigation support services, royalty compliance services, corporate restructuring services and valuations. Ms. Wang has been engaged in intellectual property related matters throughout her career. She prepares damage analyses and performs IP valuations for cases involving IP licensing, patent, copyright and trademark infringement, as well as misappropriation of trade secrets. Ms. Wang’s clients come from various industries, including flat panel displays, aerospace, telecommunications, semiconductors, consumer electronic products, biotechnology, auto parts, investment banks, mortgage banking, office product manufacturing, and dairy industries. The types of damage analyses include calculation of lost profits, price erosion, reasonable royalty, unjust enrichment, pre-judgment interest, and loss of business value. Ms. Wang’s litigation consulting experience includes all phases of the litigation process. During the fact and expert discovery phases, she identifies key documents and relevant issues, recommends solutions to the issues and prepares deposition outlines as well as provides vital analysis and information for the experts. During the trial phase, Ms. Wang assists the attorneys in forming trial strategy, preparing trial demonstratives and outlines for the case. She manages large, complex litigation projects on behalf of the U.S. government and commercial clients in the areas of breach of contract, fraud, employee theft, antitrust and intellectual property, and has been retained by the Department of Justice as a consultant for breach of contract litigation matters. In addition to litigation support services, Ms. Wang provides services in royalty compliance audit and IP license negotiations. Fluent in both English and Mandarin Chinese, she leads royalty compliance projects in Asia. Through her IP litigation support and royalty compliance work, Ms. Wang has reviewed numerous license agreements, involving international and Fortune 500 companies. Through her review of license agreements, licensee books and records as well as on-site interviews, she has assisted clients in the identification of areas of licensee non-compliance and has uncovered millions of dollars in underpayments. Ms. Wang’s experience in bankruptcy and troubled company services has covered such industries as retail merchandising, supermarket chains, consumer products, property management, and real estate development. Her management and administration of these engagements have entailed investigating and tracing of assets, developing financial models, preparing cash flow projections, analyzing business segments and operations, and performing preference transfer analysis. One of her major clients was a large bankrupt Chapter 7 retail apparel company with more than 1,500 retail stores across the country. 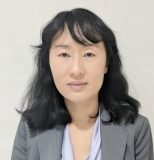 In that case, Ms. Wang performed complex lease analyses, prepared numerous large, complex preference analyses against various factors and assisted attorneys in settlement negotiations. Prior to joining SRR, Ms. Wang was a Director at Invotex. Ms. Wang’s prior work experience also includes time with Navigant Consulting. Ms. Wang is a member of the American Institute of Certified Public Accountants, the Association of Certified Fraud Examiners, the Association of University Technology Managers, the Licensing Executives Society, the Maryland Association of Certified Public Accountants, and the National Association of Certified Valuators and Analysts. Amy Gao is the founder and President of Spatial Front Incorporated (SFI), a technology company that excels in geospatial and enterprise IT solutions. SFI develops software products for data consolidation and provides IT services to many federal agencies, state and local government, and commercial customers. Prior to founding SFI, Amy worked for Fortune 500 companies including IBM and SAIC, as well as various government agencies, and worked as an adjunct professor at a local college. Amy is passionate about technologies and the creative use of them to improve people’s life. Gena Lai is an Assistant Director at the U.S. Securities and Exchange Commission. She has worked on a wide range of policy issues, including recommendations relating to investment adviser fiduciary duties and broker-dealer sales practice obligations; cross-border supervision and risk management of systemically significant securities clearing agencies; and regulation of credit default swaps under the Dodd-Frank Act. She advises on examinations and enforcement matters in the market infrastructure and investment advisor/broker-dealer spaces. Prior to the SEC, Gena worked on corporate and restructuring transactions at the law firm of Weil, Gotshal, and Manges, and in institutional portfolio management for the Yale Endowment. Gena earned her B.A. from Yale University, her J.D. from Fordham University School of Law, and her CFA from the CFA Institute. Michael is founder and principal of MZ Capital Management, a fiduciary advisory firm serving entrepreneurs and physicians in DC metro area. He is also a published author, public speaker and comedian. He won best storyteller awards in multiple cities. He's the host of a popular monthly story comedy show and he produces a quarterly musical improvisation show. Michael is passionate about living a simple and flourishing life and enabling his clients to do so. Sophia Parker is the CEO of DSFederal. She founded DSFederal in 2007 with a mission to connect the best technology with the brightest minds to address the federal government’s toughest challenges. She has received numerous accolades for her ability to deliver excellence in health IT, software solutions, professional services, grants management and training. Kurt has a long and successful track record in marketing, management and corporate strategy with early-stage and Fortune 1000 companies. As President and CEO since 2001, Kurt has led the Qnexis Team through solution-oriented communications, technology and management expertise to ensure the highest return on investment for our clients. Prior to founding Qnexis, Kurt held management and executive-level assignments with several leading technology companies. 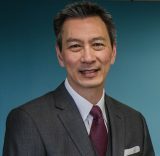 He is a co-founder of the Asian American CEO Organization (AACO), a D.C. area business networking group with the goal of advancing the Asian American community at large. In September 1992, Haiwen Lee Mackleer came to the United States of America from Taiwan, Republic of China. She earned her Bachelor's degree in Economics from West Virginia University in 1995. Soon after her graduation, she and her husband resided and taught English in Japan for two years. 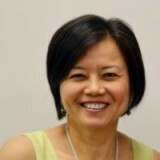 Haiwen came back to the States with her family in 1998 and started her banking career first at Provident Bank, then Chevy Chase Bank, and finally Capital Bank since 2003. Other than full time working at bank institutions, Haiwen has also been heavily involved in Asian community organizations. 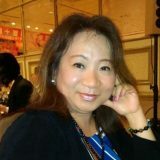 Currently, Haiwen is serving on the Board of Directors for the Monte Jade Science and Technology DC chapter, Asian American Chamber of Commerce (AACC), and is the Chairperson for the Maryland Council of AACC. She is an active member of many local non-profit organizations such as KOBE Government Contracting Alliance. She is also an advocate for Asian Pacific American Advisory Group ( APAAG) for Montgomery county, MD (Executive office and council). 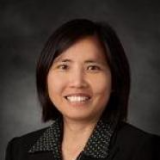 Haiwen recently joined Cathay Bank in Rockville, Maryland as a Vice President and Branch Manager. Haiwen's passion and determination lead her to find success wherever she goes! Since January 2010, Mr. Lew has serviced the Monte Jade promoting Monte Jade’s mission and working with sponsors, media, and other stakeholders. 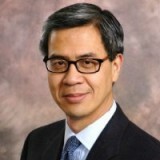 Mr. Lew rose through the ranks of the software consulting company, Noblestar Systems, Inc., to become CEO in 2005. Mr. Lew believes innovation is the key to successful technology implementation; a belief he fully embodies in The Innovation Network, which, Mr. Lew founded in 2010. The Innovation Network is a technology strategy management that specializes in consulting and advisory services to optimize technology and manage it’s use throughout an organization. 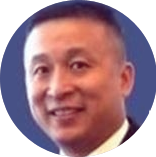 Mr. Lew began his career at Noblestar in May 1996 as a consultant who implemented solutions using PeopleSoft for clients such as Borders Group, Global One, Concert Communications, and the Federal Reserve Bank of New York. He acquired much of his global work experience through the deployment of ERP implementations throughout the US, Europe, and Asia Pacific. As Managing Director, he built the ERP and packaged software practices at Noblestar and transformed Noblestar into a technology consulting focused organization, Noblestar 2.0. In addition, he led efforts to form a strategic partnership with IBM, which he has continued to foster at The Innovation Network. 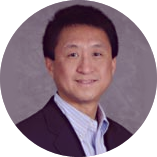 Mr. Lew holds leadership positions in the PeopleSoft Mid-Atlantic and the IBM Websphere User Groups in Washington, D.C. He is a frequent guest speaker on technology and innovation at conferences and other events. Mr. Lew holds a M.S. in Software Engineering from Johns Hopkins University and a B.S. in Information Systems from the University of Maryland. He has a passion for contributing his leadership to youth organizations, such as, the Colonnade Society of the University of Maryland and the Chinese Youth Club. Tony Lau is the Chief Strategy Officer of AP Group which owns a portfolio of technology, consumer electronics and equipment manufacturing companies. Mr. Lau is also the Managing Director of Détente Group which provides financing and management services for satellite, renewable energy and other infrastructure projects. As a member of Monte Jade, I have gotten introductions from Sophia Parker and Rose Wang for business contacts. I have also gotten benefits from many more such as events with Denise Wu and others. 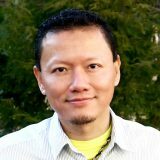 I feel that Monte Jade is in a unique position to foster a great environment for our Asian/Chinese community in the greater MD-DC-VA region where members joined not because we are trying to "sell" our products or services but to be a resource to one another. This is because our members consist of very diverse professional background with complementing expertise to help solve business problems. For example, I met a transaction attorney who does M&As, IPOs and private equity funding at the Monte Jade annual gala last year. We have been meeting for lunch and gotten to know each other well. After attending the mobile panel, I experienced a closer tie with my fellow MJDC members. I continued to build on business relationship with Ken, started to work a project with David Nguyen and introduced a VA client to Terry who is working on a new product there. My network of potential teaming partners has widened as a result of my MJDC membership.